"ACE"ing the Future - Pyramid Construction Services, Inc. The Ace Mentor Program’s mission is to enlighten, engage and encourage high school students to pursue careers in the construction industry. The program provides these students an organized academic course of study. They also receive professional guidance on aspects of the industry. Pyramid’s Dave Rodney recently shared his knowledge on construction estimating with a group of program participants. The students learned about an estimator’s job details. 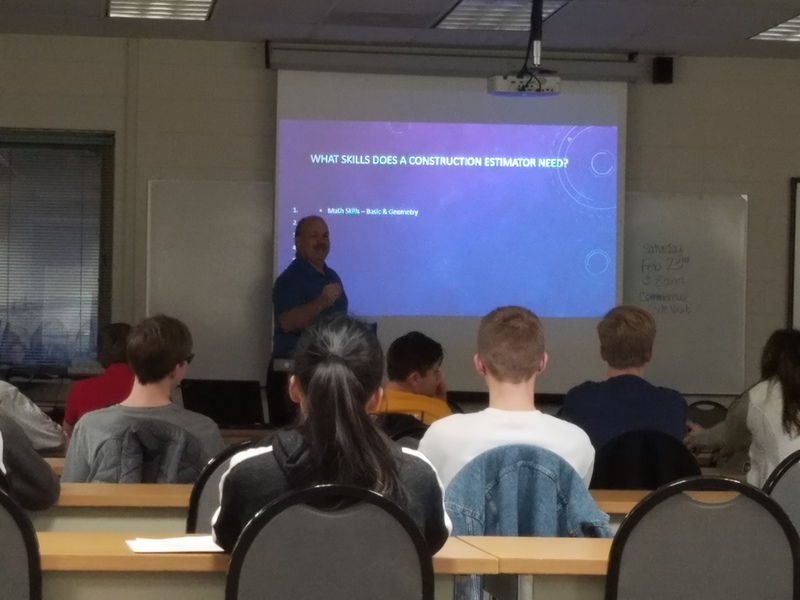 Dave provided a look at the skills an estimator must have. This provides valuable insight so students receive a first-hand look at possible future career paths. ACE Mentor Program has been active in Central PA since 2007. For the 2017-2018 academic year, more than 100 students from 24 school were enrolled in programs offered by ACE’s Central PA Affiliate.